How do I find a Texas Personal Injury Lawyer? - If you or a loved one is injured in any accident involving transportation, including cars, trucks, taxi services, buses, or any other form. - If you are injured while on the premises of a building. 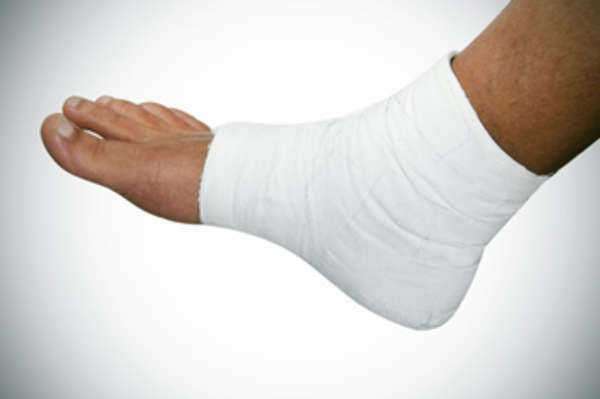 Injuries may occur from slipping, falling, or being hit by an object due to unsafe conditions. - If you or a loved one is intentionally harmed by another during a criminal act. A Texas personal injury lawyer can help you through the process of recovering damages for any type of injury in which another party is responsible. It is important that you seek the help of an experienced lawyer who will know how to get your case through the procedures of the court and negotiations with opposing parties. When you first speak with a Texas personal injury lawyer, you must give them enough information so that he or she can accurately evaluate your case to determine the best course of action. You should be tell your lawyer about the injuries you suffered, how you suffered them, and what type of compensation you need in order to best make up for the injury. Do not be afraid to discuss everything about your case, even if you think it may harm your lawsuit. Your lawyer will be held to strict confidentiality and will not be allowed to disclose what you say. Texas personal injury lawyers can be found throughout the state and you probably have seen many of these advertisements on television, newspapers, or even been sent solicitations directly in the mail. While advertisements may give you the names and locations of lawyers claiming to be specialist in personal injury, you should further investigate their credentials before allowing a lawyer to represent you. Seek unbiased sources of information from former clients, other lawyers, or contact the Texas State Bar Association for additional information. This website can provide some valuable information in your search for a personal injury lawyer. Use the search function at the top of the page to find and compare lawyers in your area. Legal professionals are available to answer any questions and help guide you through the process as well. Personal injury covers several different areas of the law. In Texas, you may find lawyers that work with all different types of injuries. While these generalist are good for less serious cases, only select a highly specialized lawyer if you have serious injuries. Do not allow an inexperienced lawyer to represent you since the difference between a good and bad lawyer can greatly affect the rest of your life. Before meeting with a Texas personal injury lawyer, it is important that you prepare everything that you will need. Your lawyer will need to know all about your case before you can progress through the legal system. You should be prepared to bring in any documents that pertain to your case. The most important documents to have are any available police reports, your medical records, and any contact that has been made by insurance companies or the responsible parties. On top of this, be prepared to discuss the various facts in specific detail. Know all names, places, dates, and times and review them if you are unsure. You should prepare questions in advance of your meeting, as it will be important that you have a full understanding of the process that will take place and what will be needed of you in order to best help. Many Texas lawyer must have certain basic requirements before they can represent you in your personal injury matter. They must have graduated from an accredited law school and passed the Texas Bar Examination. They must also be in good standing with the Texas Bar Association and have a valid membership. While these are the basic requirements, you should only seek a Texas personal injury lawyer that is well qualified to advise and represent you. Check with outside sources to ensure that your lawyer has the needed credentials to handle your case. The Texas State Bar Association can be a good source of information if you are unsure about a lawyer or would like some additional information. Any good Texas personal injury lawyer will have familiarity with the appropriate laws and procedures necessary to file the lawsuit and follow it through to completion on your behalf. They will also have superior negotiating skills as they will need to appear on your behalf in settlement meetings and conferences with judges. Personal injury matters involve a lot of paperwork and court appearances, so it is important that your lawyer know how to properly and timely file these documents. While most Texas lawyers are respectable and honest professionals, you should always be wary of the fees and expenses that seem unreasonable or that you do not understand. If you ever believe your lawyer is engaged in unethical behavior while representing you, it is important that you contact the Texas State Bar association to inquire about your rights as a client. While this happens very rarely, sometimes lawyers become overwhelmed and do not put in the necessary work for a case, take cases they are not qualified for, or take advantage of clients who do not understand their legal fees. Texas personal injury lawyers can charge a variety of fees and expenses for their services, so it is important that you have a basic understanding of them. Always ask about the expenses you should expect to incur and get all fee agreements in writing from your lawyer. A Contingency Fee is the most common type of lawyer fees. In this payment structure, a lawyer will take a certain percentage from the final award or settlement given to a client. In Texas, this amount will usually be between 30% and 40%. This is a very popular payment form, as the client does not need to put any money up front and the lawyer risks all expenses should the case be unsuccessful. An Hourly Fee is a type of fee that is determined by how many hours a lawyer works on a specific case. This usually requires an upfront retainer payment, which is a non-refundable one time payment that will be credited towards the future legal work. Hourly fees should be avoided unless you have experience working with lawyer on an hourly basis. On top of these fees, lawyers may require that clients pay for the expenses of litigation. Filing fees, experts, and use of staff may all add up to the costs of litigating a case. Make sure you speak with your lawyer about these expenses before retaining their services. What expenses should I expect to pay for this case? What do you think are the chances of success? How long do you expect my case to last? When can I contact you and when will you contact me for case updates? When you or a loved one is injured by another party, it is important that you retain the services of a qualified and experienced personal injury lawyer. Texas provides its residents with protections from such acts in what is known as “tort law”. Tort law allows recovery for damages received by a party that has acted in a negligent, reckless, or purposeful manner in causing your injury. The most typical type of tort is automobile accidents, which are responsible for thousands of injuries every year in Texas. Slips and falls, criminal acts, and dangerous products are other areas of tort law that you will find personal injury lawyers. Texas has recently changed its tort laws to reform them, which means that it is now harder to recover large sums of money through the court system. In order to successfully bring a tort action, you first must have been injured. Many personal injury lawyers will not take cases unless a client has significant injuries. Otherwise, the time and expense it takes to file a personal injury lawsuit will outweigh any benefit to the client. Next, it must be shown that the responsible party had a duty not to injure the other party and their acts or non-acts caused such injuries. It is often difficult to neatly establish all of these elements, which is why these cases often take many months or years to fully litigate. While trial is a possibility for all cases, the majority of tort cases in Texas are settled out of court before trial.